Q: What are you responsible for at Tetra Capital? A: I oversee the day-to-day operations at Tetra. I collaborate with the Account Managers on individual accounts, collections, credit issues, and escalated situations. Q: What did you do prior to working at Tetra Capital? A: I previously worked for a broker and trucking company in administration and dispatch for many years. I have pretty much seen and done it all in trucking. Q: What do you like most about your job and working with owner-operators and small trucking companies? A: Seeing small trucking companies succeed and be able to grow is the most rewarding part of my job. A large portion of our clients are new to the industry, it’s incredible to be able to assist and coach them with key business issues such as credit and paperwork. These issues might seem small but are important to help them get paid faster and build a strong business base. Q: What is the one thing you wish every owner-operator and small trucking company owner knew? A: Check credit! Just because a load is paying great, doesn’t mean it’s always coming from the best broker. 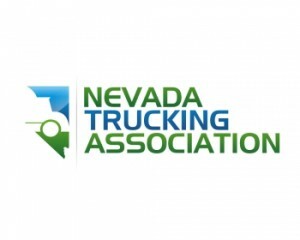 Q: What is the biggest challenge you see facing trucking owner-operators and small trucking companies? A: Access to working capital and finding the right financial partner are big challenges for many owner-operators and small trucking companies. It seems many financial companies are out for themselves and don’t look out for their clients because the industry is so competitive. With Tetra we are genuinely interested in seeing our clients succeed. We consider the relationship, a partnership. We aren’t here to run your business, but to enhance it with the experience and knowledge we have in the trucking industry. If you need help with how to find the right financial partner, check out our blog post How Do You Choose a Freight Factoring Company to Best Fit Your Needs? Q: Is there one client/situation that stands out as the most memorable? A: One client that I am most proud of has been able to experience tremendous growth throughout our partnership. 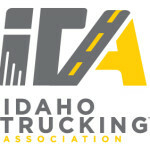 When we started working with them they were a small trucking company with only about 5 trucks running. They were a typical small new trucking company in desperate need of help with their cash flow, processes and back office. But through time, trial and error and their partnership with Tetra they have been able to grow their business and double their trucks! As they grew they were able to bring on administrative staff to help improve their back-office processes. Additionally, through our partnership we have helped them increase their cash flow and be able to be more selective in the freight they take and work with more reputable customers and brokers. Camille and our other experienced team members are just a phone call away. Let them take their extensive knowledge of the trucking industry and put it to work for you today. You can reach them at info@tetracapital.com or (801) 676-0182.